Isuzu E-IDSS Engineering Release 2019 - Isuzu Diagnostic Service System, IDSS is designed to support Isuzu Engines 1996-2018 MY. Diagnosctic charts, Wiring Diagrams and Engine Repair Manuals. With 12V and 24V Controllers. CRS reprogramming available., E-IDSS Engineer Edition is designed to support Isuzu Engines and Controllers. 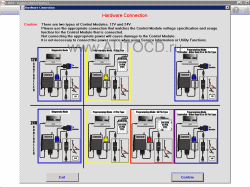 Diagnosctic software, Workshop Manuals and Wiring Diagrams. 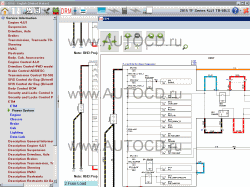 E-IDSS exclusive software for Isuzu Industrial engines Electronic Spare Parts Catalogs, Service and Workshop Manuals, Service Information, Wiring Circuits and Hydraulic Shematic Diagrams, Diagnostic equipment. 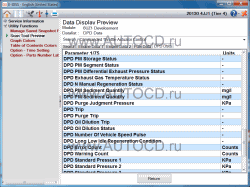 E-IDSS Engineering Release is designed to support Isuzu Engines. With each new release of the E-IDSS program, additional vehicle engine configurations and controller systems may be supported. IDSS is designed to support Isuzu Motors. Engine configurations and controller systems will be supported for future engines. Manually select the engine model, etc . through a series of drop-down menu boxes click Load Engine. Manually enter the Engine Serial Number or click Find Engine button. Automatically read the Engine Serial Number by clicking the Request Serial Number button. Click one of the 30 most Recent Service Bulletins listed. Click one of the listed Recent Engines Loaded selections. 2. Disconnect the harness connector of the intake throttle valve. 3. Check the intake throttle position sensor data display with the trouble diagnosis scan tool. 4. When the value is at or above the standard value, inspect the signal circuit between the ECM and the intake throttle valve. Note: There should be no short circuit to the battery or the ignition power source circuit between the ECM and the intake throttle valve. Note: There should be no short circuit to the 5 V power source circuit between the ECM and the intake throttle valve. 5. If a problem is discovered, repair the signal circuit. 6. Inspect the intake throttle valve harness connector for a contact failure. 7. If a problem is discovered, repair the harness connector. 8. If the harness connector is normal, replace the intake throttle valve. 9. Inspect whether there is an open circuit or high resistance in the GND circuit between the ECM and the intake throttle valve. 10. If a problem is discovered, repair the GND circuit. 11. Turn OFF the ignition switch. 12. Disconnect the ECM harness connector. 13. Inspect the ECM harness connector for a contact failure. 14. If a problem is discovered, repair the harness connector. 16. Set the injector ID code on the ECM. 1. Clear the DTC using the trouble diagnosis scan tool. 2. Turn OFF the ignition switch for at least 30 seconds. 5. 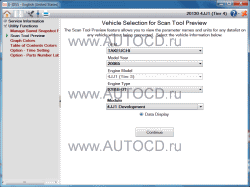 Use the trouble diagnosis scan tool to confirm that a DTC has not been detected.